What is Disaster Risk Reduction? What is the International Strategy? Asia and The Pacific Early warning systems and "the last metre"
Click here to watch "Sendai Framework: 1 Minute With"
The Sendai Framework, the first of the world's post-2015 development agreements, was adopted in March 2015. It was followed by three other major intergovernmental accords: the July 2015 Addis Ababa Action Agenda on financing for development; Transforming our World: the 2030 Agenda for Sustainable Development, adopted in September 2015; and the December 2015 Paris Agreement on climate change. 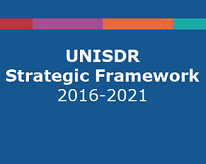 UNISDR's Strategic Framework 2016-2021 is guided by the following vision, mandate and overarching objective: the substantial reduction of disaster risk and losses for a sustainable future; focal point of the United Nations system for disaster risk reduction and the custodian of the Sendai Framework, supporting countries and societies in its implementation, monitoring and review of progress; the prevention of new and reduction of existing disaster risk and strengthening resilience through successful multi-hazard disaster risk management. 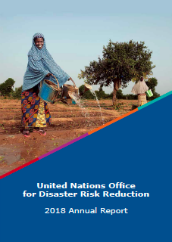 The 2018 Annual Report is the first report of the 2018-19 biennium and provides an overview of the results achieved by UNISDR against its Work Programme 2016-2019. 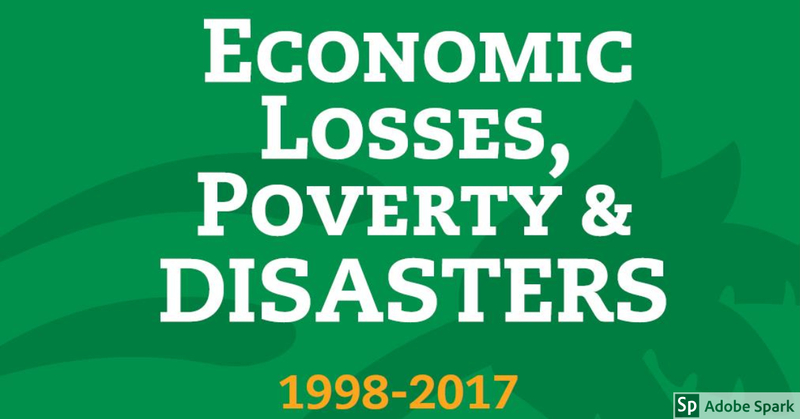 The 2018 edition of the International Day for Disaster Reduction will focus on Target C of the Sendai Framework, reducing disaster economic losses in relation to global GDP by 2030. 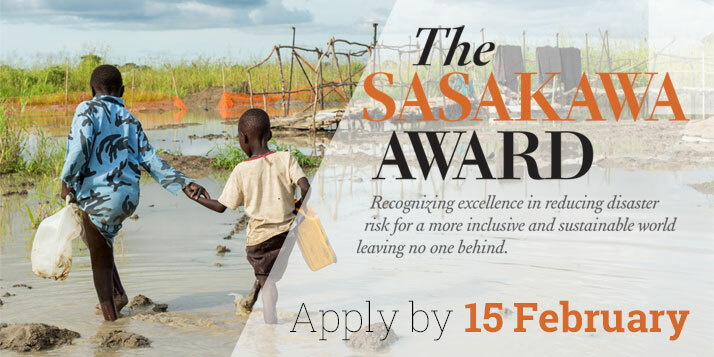 The RISK Award, endowed with €100,000, is issued every two years by UNISDR, the Global Risk Forum Davos and the Munich Re Foundation. Nominations are now open for the 2019 Risk Award to be given to an individual or oganization for outstanding recognized action that contributes to building the resilientce of coastal nations and communities which are particularly exposed to extreme storms, erosion, sea level rise and environmental changes. For the third year in a row, the 2018 World Tsunami Awareness Day will align with the International Day for Disaster Reduction and the "Sendai Seven Campaign" and focus on Target C of the Sendai Framework for Disaster Risk Reduction. Target C aims at reducing economic losses in relation to Global GDP by 2030. 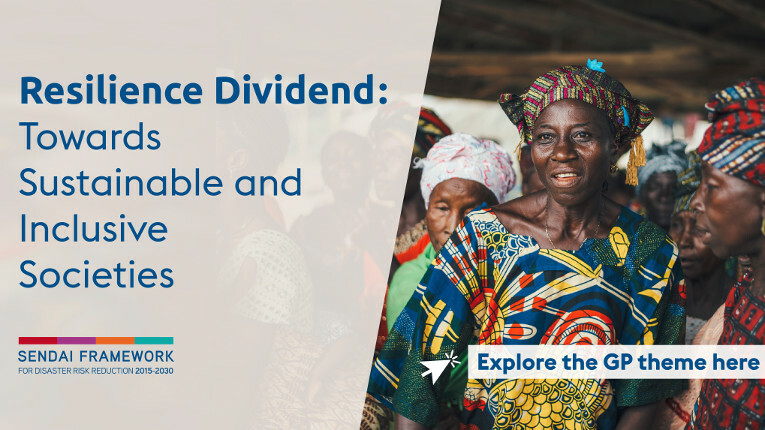 The GP 2019 will take place in Geneva, Switzerland from 13 to 17 May, 2019 under the theme Resilience Dividend: Towards Sustainable and Inclusive Societies. The conference will focus on how managing disaster risk and ensuring risk-informed development investments can yield multiple social, environmental and economic benefits in the long term. Adopted by the UN General Assembly in 2017, the final report of the Open-Ended Intergovernmental Expert Working Group recommends indicators to monitor the global targets of the Sendai Framework. The report also recommends specific terminology related to disaster risk reduction. Click here to find out more. Collective action by the UN system is critical to ensure that disaster risk is reduced, a fact underlined in the Sendai Framework and its linked post-2015 agreements, including the 2030 Agenda for Sustainable Development. The revised UN Plan of Action, approved in April 2016, represents an opportunity for the United Nations system to actively work towards the Sustainable Development Goals as one body.